Africa University Choir at Johnson Memorial. 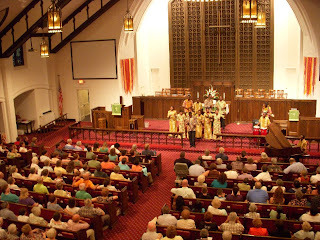 You have two more chances to be "blessed by the song" -- Beckley Temple this evening at 7:30pm and Wesleyan Chapel Monday evening at Summer Youth Celebration. Great experience at JM last night!